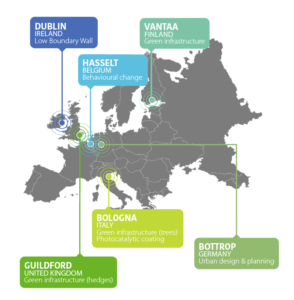 To achieve iSCAPE’s objectives, living labs have been created in six European cities: Bologna, Bottrop, Dublin, Guildford, Hasselt, and Vantaa. The iSCAPE living labs connect a great variety of stakeholders, facilitate collaboration and sharing of multidisciplinary knowledge and experience to advance air pollution remediation strategies and solutions. This includes the engagement of citizens that is fundamental in living lab activities to create value and increase the public awareness of air pollution control. 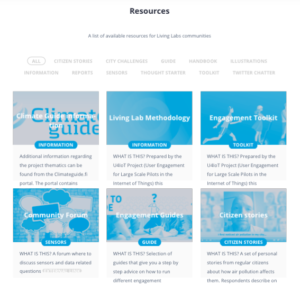 A resource page with all available resources developed for Living Labs communities (these include citizen engagement guides, toolkits and citizen stories but also living lab implementation plans and an overview of the iSCAPE sensor platform). The platform will be updated on a regular basis and will contain, among others, an interactive air quality map connected to the sensors deployed during the iSCAPE project, interactive tutorials on how to set up and use the sensors and toolkits for practitioners based upon key learnings. These will be included as soon as the sensors are ready to be used and when results are ready to be disseminated.